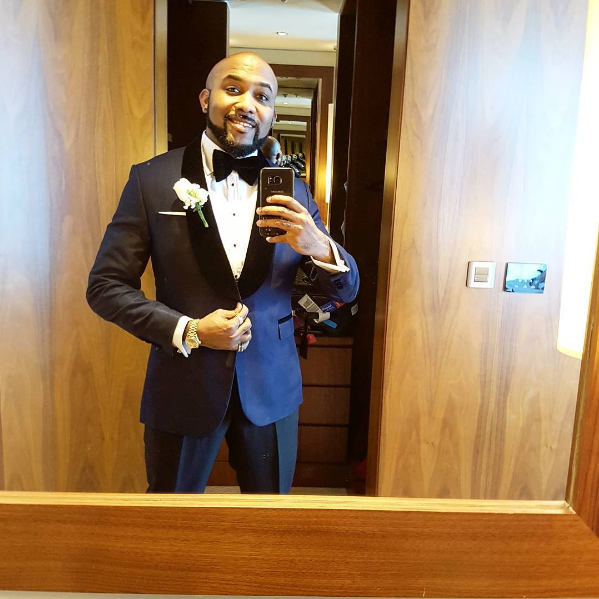 So, we woke up this morning to a very intriguing photo the latest husband in town BankyW shared on Snapchat. The photo has stirred a lot of controversy online. Even without being told, you should know why. If you still don’t, then look closely at the photo again. Yes! The bum showing behind. Some amebo are beginning to say that Banky is cheating on Adesua. Mtchewww, home wreckers (Rolls eyes). 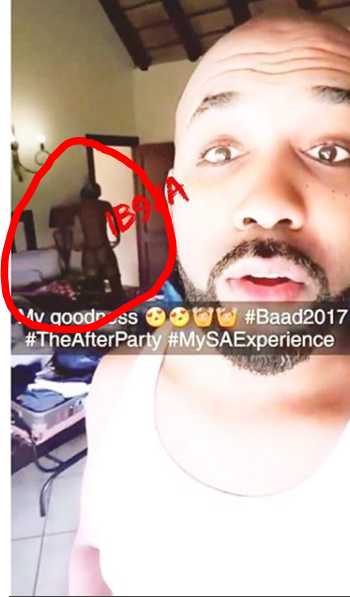 Banky Wellington, who is still enjoying his honeymoon with Adesua in South Africa shared a picture revealing a nak3d lady with bum shinning so bright in the background. What was he thinking kwa? And hello to those arguing that Banky was ‘unaware’ of ‘cheek-y’ Susu in the background. Really? Who uploads pictures online without first scrutinizing them? I mean, he even went as far as adding a caption, er and all the while, y’all mean to tell me he did not notice the ‘full human’ at the background? Okay, on a serious note, and for the sake of argument, the lady in the background is as petite as Adesua, and why would Banky, hypothetically, share a picture of a woman he is cheating on Susu with? Days after his honeymoon. Not to digress any further, let us all look into the issue at hand. So Banky and Susu got happily married on Saturday in South Africa. Family, friends, and well-wishers offered prayers and words of wisdom to them. Omotola even advised they stay off social media for a while. Which they obliged to, for a few days at least, until this picture happened. Now that we have established the fact that Banky and Susu are both from a strong moral background, you may understand why some of us are quite shocked. Anyways Banky and Adesua are married and whatever they do is their business. Well, maybe except for sharing disturbing pictures like this one on social media. Isorait , we wish them a happy married life, for better for worse, in bedroom selfies and every other kind of selfies. Lol!